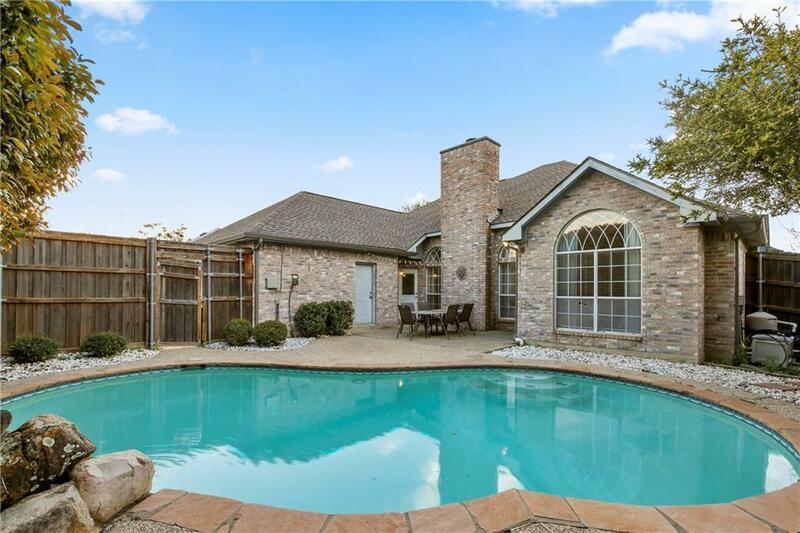 UPDATED SINGLE-STORY WITH SPARKLING POOL! 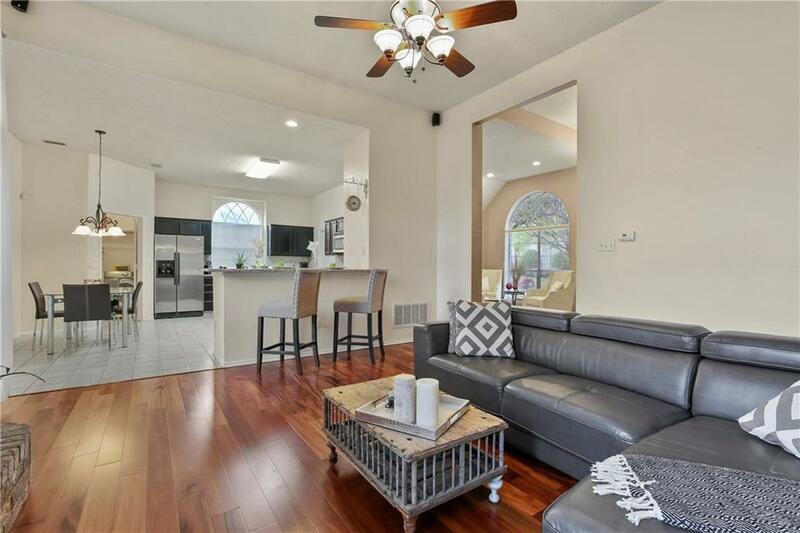 From the extensive wood floors to the open floor plan, this gorgeous home is sure to impress. 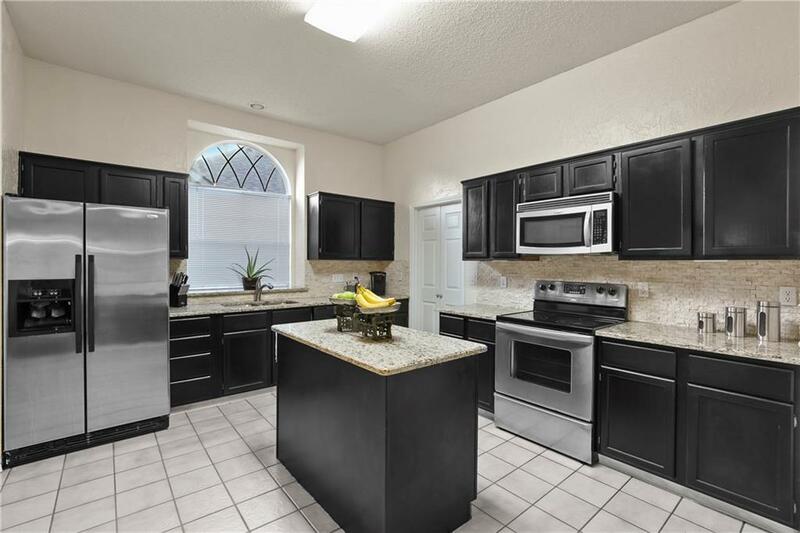 The family cook will fall in love with the huge chef's kitchen boasting granite counters, freshly painted cabinets, stainless steel appliances, a walk-in pantry, breakfast bar & an island. Host in the cozy family room graced with a gas log fireplace or unwind in the spacious master suite showcasing a jetted tub, dual extended vanities & walk-in closet offering built-ins. Enjoy the private backyard featuring a pool & large patio or make great use of the garage with a workbench. Recent roof & gutters (2017). 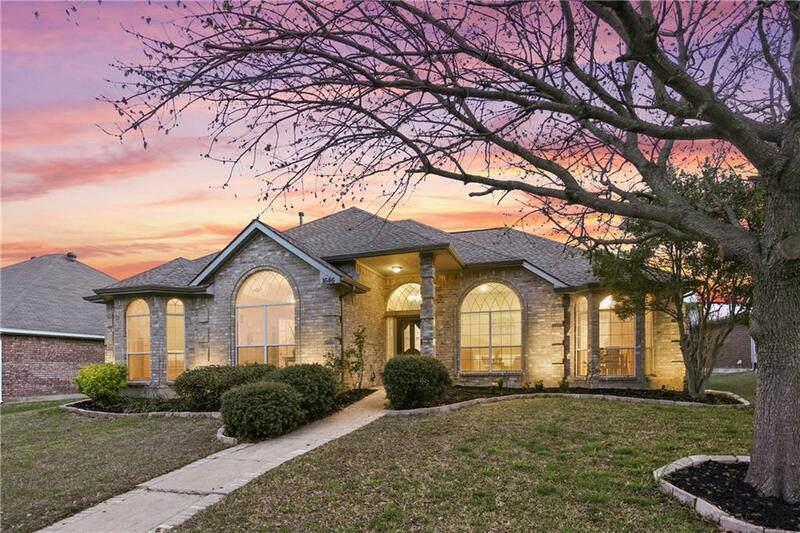 Great location with easy access to I-35E.